In this post, I show how to download fantasy football projections from the web using R. In prior posts, I showed how to scrape projections from ESPN, CBS, NFL.com, and FantasyPros. In this post, I compile the R scripts for scraping projections from these sites, in addition to the following sites: Accuscore, FantasySharks, FFtoday, FOX Sports, and Yahoo. Scraping projections from the web is fast, easy, and automated with R. Once you’ve downloaded the projections, there’s so much you can do with the data to help you win your league! Let me know in the comments if there are other sources you want included (please provide a link). 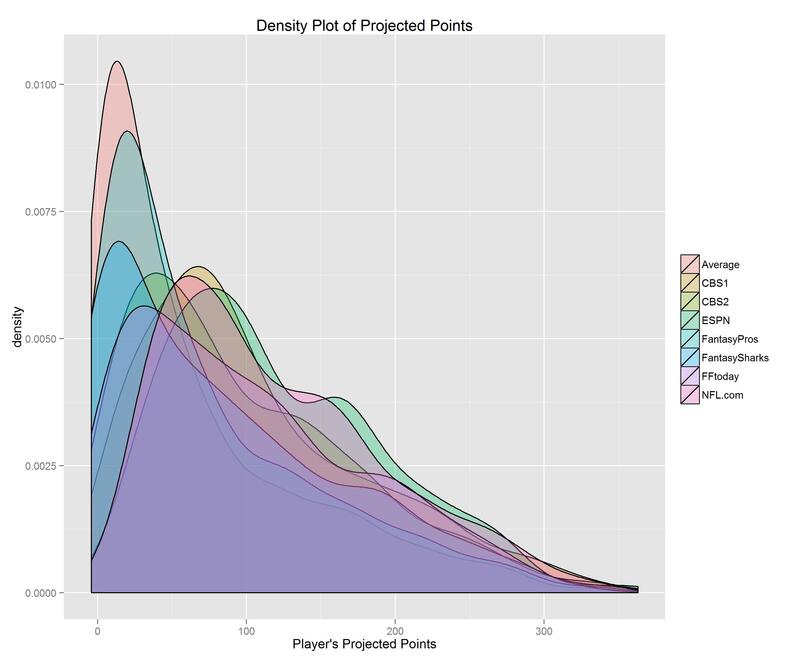 The post Scraping Fantasy Football Projections from the Web appeared first on Fantasy Football Analytics. To leave a comment for the author, please follow the link and comment on their blog: Fantasy Football Analytics » R | Fantasy Football Analytics.